Below is the Texas FFA Association Official Dress Standards. 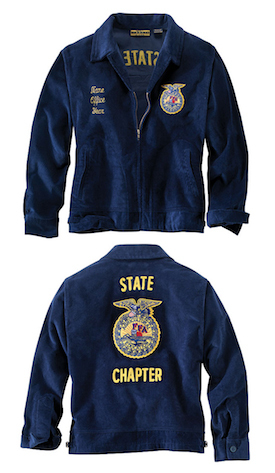 There has been many questions regarding the changes that National FFA has made for their official dress. The Texas FFA Board of Directors has not taken any action regarding this change as of yet, therefore, all members are still required to follow the Texas FFA guidelines - not the National FFA Standard. This applies to all contests, conventions and any other official Texas FFA function. Black dress shoes with closed heel and toe. Dress boots are acceptable. An official FFA jacket zipped to the top. The collar should be turned down, and the cuffs buttoned.